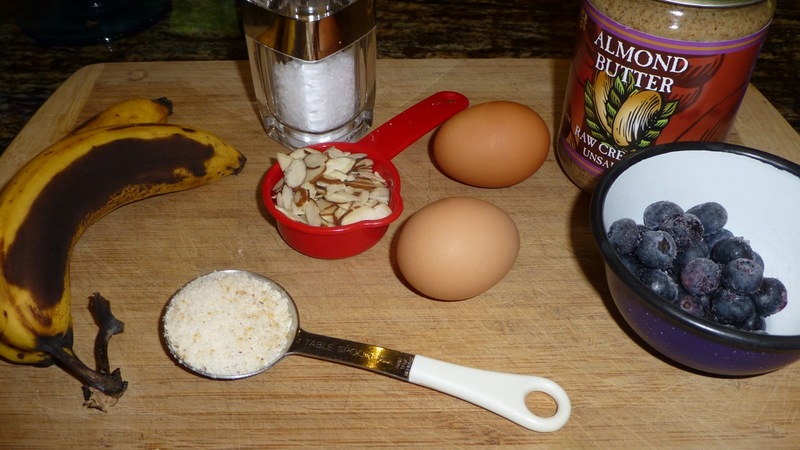 I had some very ripe bananas hanging around — that’s what made me look for a paleo banana pancake recipe. Fortunately I found this one which is a keeper. I used sliced almonds, almond butter and coconut flour. See how thin the consistency is? I wouldn’t put the blueberries in the batter next time either. Since they were hard to “turn over,” the berries got in the way. However, in a crepe, you could top them with blueberries. My mouth is watering just thinking about it. I, unfortunately, didn’t pay close enough attention and almost burned one of them. It tasted okay though. 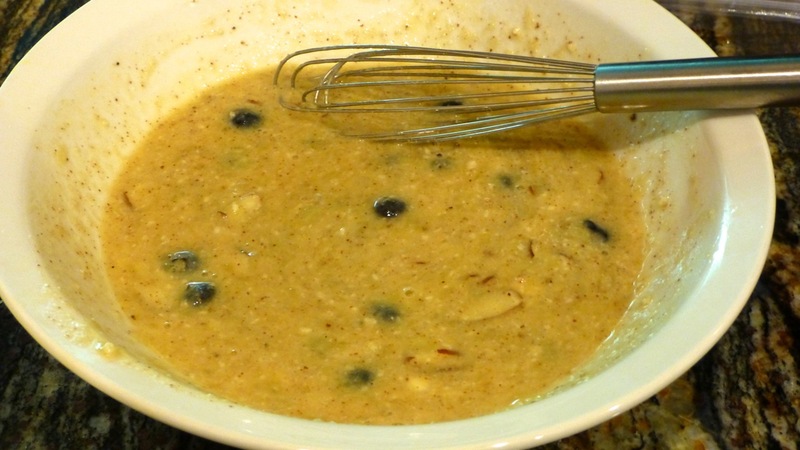 Add the eggs, coconut flour, almond butter, blueberries, nuts and salt to the bananas then whisk until well blended. Pour small discs of batter onto the hot pan. Turn the pancakes when the top starts having small bubbles in it. Cook the other side slowly over medium heat until fully cooked. That’s it! 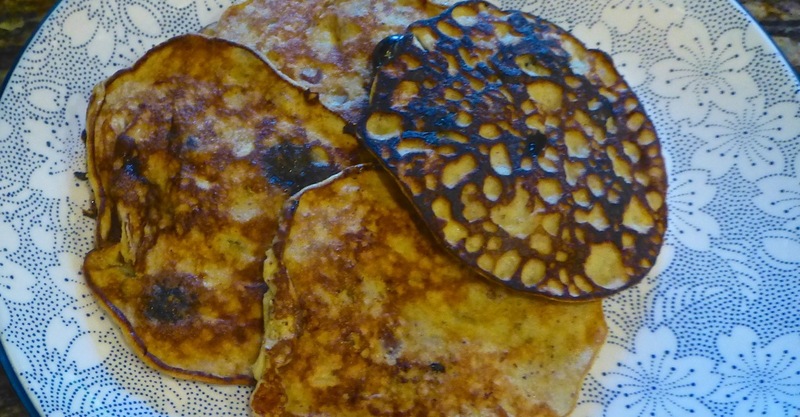 Next time I’ll try them as crepes. They didn’t come out looking so great but they were tasty — especially with pure maple syrup.